The problem with making a game so amazing the first time, is following up that game with an even better sequel. Room for improvement is small, forcing the developers to dig deep into their creative wells, to introduce new concepts or ideas to impress the players. No one expected Batman: Arkham Asylum to be as well executed as it was; dismissing its existence was the common attitude towards it. Rocksteady delivered an experience so contrary to what we believed, pushing Batman to the forefront of quality video games in 2009. With our expectations now set high and our attention drawn in, it would be impossible for Batman: Arkham City to duplicate such a lofty achievement. Batman: Arkham City won’t wow its players like its predecessor, but the fluid melee combat and wide cast of stellar characters that populate Arkham City, are enough reasons to slip on the bat suit once more. The biggest difference it Batman’s second adventure is that he now has to deal with an entire city of villains and convicts, instead of the cramped quarters of the asylum. This transition from linear design to an open world makes logical sense for Batman. He has the ability to glide, climb and grapple his way across the city. Though the non-linear approach doesn’t add anything meaningful that further benefits the franchise, it just comes down to personal taste of whether or not you prefer a wide an expansive city or tight quarters of a building. 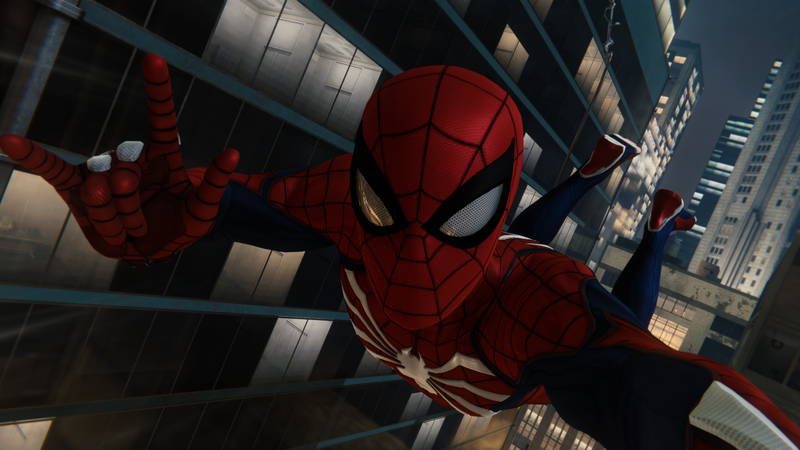 If I had to pick which I prefer, the confines of the Arkham Asylum were much more appropriate for this style of game, especially when most of the game’s missions take place in a building anyways. After you master the grapple-gliding technique, you move across the city so quickly that I often felt guilty for not taking the time to appreciate the atmosphere of Arkham City. For a city completely submerged in darkness the entirety of the story, you are still able to easily distinguish the major landmarks and all the detail that surrounds them. The city itself is not very large in scale, though the small size is supplemented with the details you see under the dim street lights or flickering neon signs. It’s the little details like being able to answer payphones, watching the snowflakes flutter down and melt on Batman’s cape, and overhearing mostly different conversations between goons that makes Arkham City worth exploring. And if you’re that OCD type of player that needs to accumulate every piece of collectable, there are hundreds (maybe even too many) Riddler challenges to solve and trophies to find that are on occasion actually quite rewarding to solve. But the most questionable design decision with the Riddler challenges and the open world of Arkham City is the barrier that prevents you from accessing content. There are some missions in Arkham City that I would have never even known existed if it wasn’t for the achievement guides on the internet. Take the Riddler challenges for instance. Unless you collect a certain amount of Riddler Trophies and solve enough riddles, you can’t do the side missions associated with him. Even if you are determined to solve all the riddles and collect all the trophies, there are just way too many, about 400 to put a number to it. It’s one of the less restrictive barriers in the game, the worse being some missions becoming no longer accessible if the main story is finished before that specific side mission is started. I don’t want the content Rocksteady invested their time into, to be hidden away and out of plain sight, I want to experience everything the game has to offer, not just most of it. For when you are able to access side missions and are playing through the main story, it’s difficult to find something to complain about. The hand to hand combat, which was unquestionably the best part of Arkham Asylum, returns in Arkham City with new special moves, counters and more gadgets than one can even recall. As your combo builds, taking down a group of 10 to 15 goons armed with all kinds of weapons, stirs a feeling of satisfaction and awesomeness only possible through Batman. Although Batman refuses to kill anyone, the visual impact and sound of his punches and kicks undoubtedly lets you know that it hurts, sometimes, so much as you begin to think if it is even possible to survive some of his deadly, acrobatic blows and maneuvers. To counter the bare knuckles brawling, the game will often slow down, leaving stealth the best possible option to continue forward. While the stealth remains unchanged from the gargoyle to gargoyle swinging first featured in Arkham Asylum, the enemy artificial intelligence has slightly improved. For example, if they are investigating an area where they initially spotted you, they will shoot and destroy the gargoyle, leaving you with one less method of travel. While Batman’s stealth will never reach the Splinter Cell level of shooting out lights and moving dead bodies into the shadows, there is enough satisfaction to be gained through silently clearing out a room full of gun carrying goons. And while it may somewhat break the believability that the guards can’t see Batman when he grapples across the room to the furthest gargoyle, it doesn’t subtract from the actual difficulty of remaining hidden. What didn’t remain hidden, were all the villains who were out to make Batman’s life much harder during his stay in Arkham City. The amount of major and minor villains Batman will come to encounter makes you fully realize the importance of Batman’s role in this universe. Even those who make the slightest appearance are absolutely convincing of their intentions, creating so much depth for such minor characters, and personal, emotional conflicts with the major role players. This is significantly due to the best voice work you will find in any video game. There are only a few games with truly believable characters, and Batman Arhkam city has a ridiculous amount of them. The shift to an open world setting may not have drastically changed the Arkham franchise into a significantly better experience, but that doesn’t detract from the obviously brilliant cast of characters, both good and evil, and the most fluid hand to hand combat you will find in any game. Even though I think the linear structure and design of the Asylum is better suited for the game’s overall format, it’s the subtleties and atmosphere that made the natural evolution in scope acceptable. You won’t continue to play because you love how it feels to be Batman while sitting at the top of a building, pure enjoyment will come from the simple act of punching dudes in the face. After the end of the game, you will be left wanting more, more dudes to knock out, more places to explore. This feeling does not come from lack of content (even though content can be blocked off and not easily accessible to you), it comes from the understanding of how awesome it feels to counter two punches simultaneously, or to bend a guy’s arm the other way. It may be slightly graphic, but that won’t come even close to stopping you from doing it over and over again.